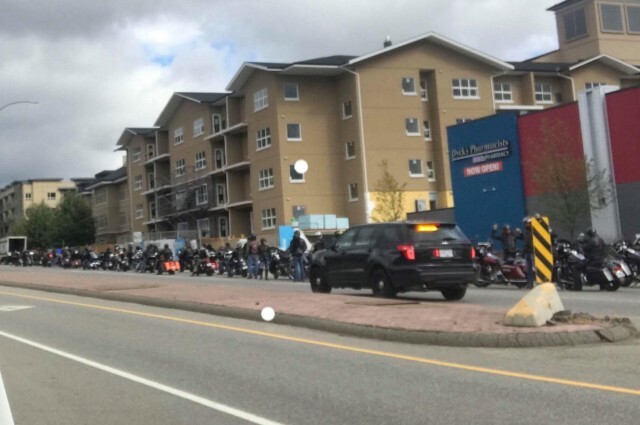 Kelowna, British Columbia (September 22, 2018) BTN— Dozens of Hells Angels and associated motorcycle club members were pulled over by police on Kelowna's Glenmore Road Saturday, not long after the riders took off from the Kelowna Hells Angels clubhouse on their annual Poker Run ride. Upwards of 100 riders were seen pulled over on Glenmore Road, just north of Summit Drive at about noon. Earlier Saturday, the bikers had left from the Hells Angel's clubhouse in Kelowna's North End, on Ellis Street. The Combined Forces Special Enforcement Unit, B.C. 's anti-gang police agency, is in Kelowna this weekend to support the Kelowna RCMP during the Hells Angel event. The Kelowna RCMP have yet to comment on the ride, or about their interaction with the riders on Glenmore Road. 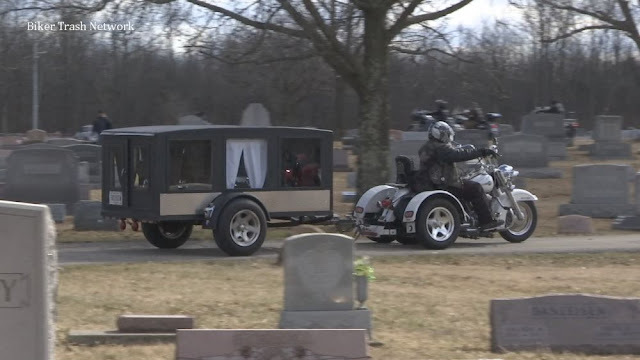 It's unclear if any arrests were made. 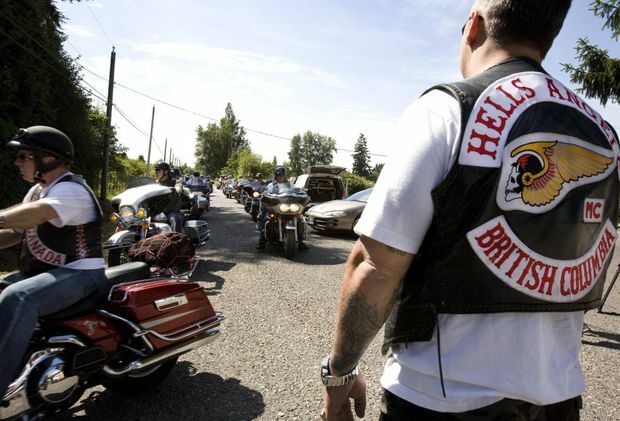 The Hells Angels set up a chapter in Kelowna around 2006. The gang's clubhouse, while still in use by its members, is the subject of an ongoing BC Civil Forfeiture Office trial in BC Supreme Court in Vancouver. After several police raids on the property over the past several years, the property's assets were frozen in 2016, pending the outcome of the trial. The BC Civil Forfeiture Office is looking to seize the gang's clubhouses in Nanaimo and Vancouver, in addition to Kelowna, arguing the properties will be used to commit crimes in the future. "An RCMP traffic unit initiated a traffic stop with the lead bikers to address the situation," Sgt. Winpenny said. "CFSEU-BC was present and assisted the traffic unit with the stop." The CFSEU-BC, B.C. 's anti-gang police agency, are in Kelowna this weekend for the Hells Angel poker run. "The main objective at these events is to ensure police and public safety and that the participants of the ride abide by the law," Sgt. Winpenny said.